ith July also hot summer weather arrived on our Lakes. But do not think we do not have weddings! 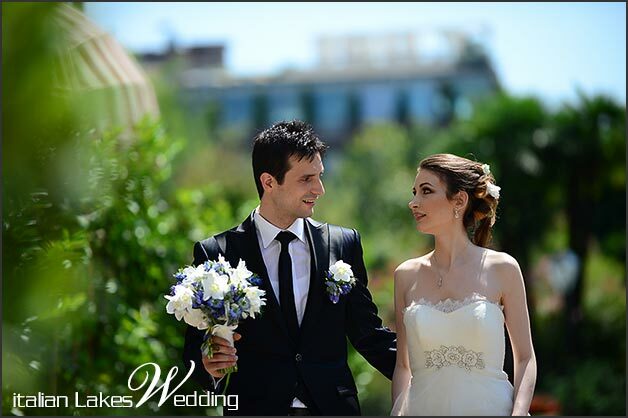 On the contrary July is one of the most wanted month for a wedding in Italy! 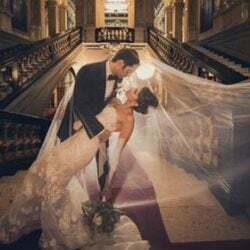 You can find here some couples who got married in the last 7-10 days and we would like to thank you our bride and groom who agreed to be on our pages sharing their big day with us and our readers! 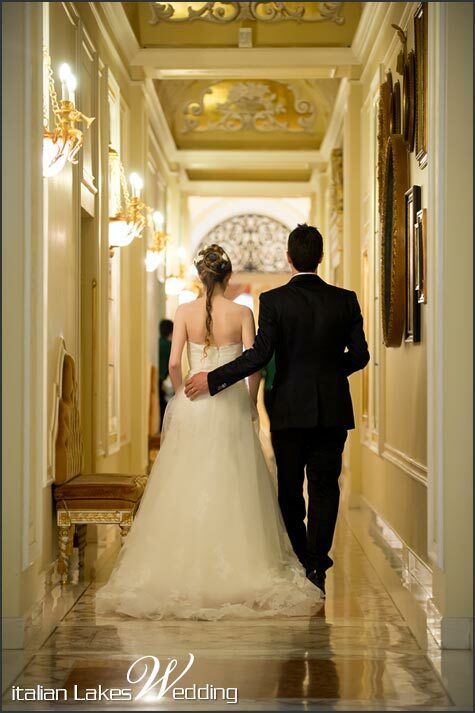 A deep thank you also to our professional photographers who worked hard to give us these wonderful photos in no time! 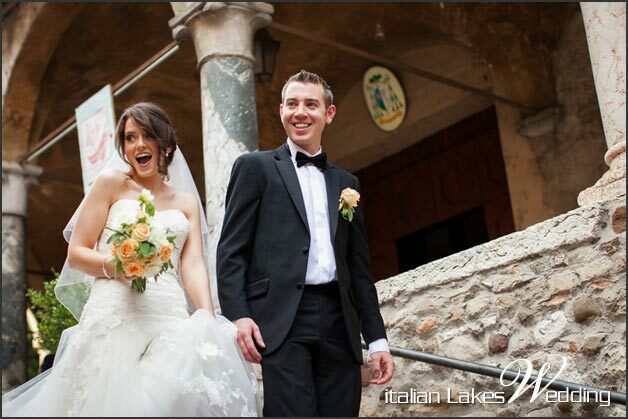 We start from a wedding on Lake Garda that our planners Angela and Katiuscia followed for us. 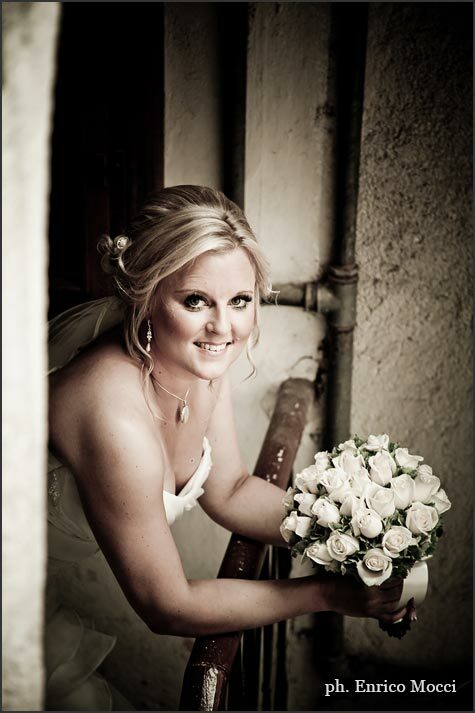 Ursula and Cathal came from Ireland to get married in Sirmione. 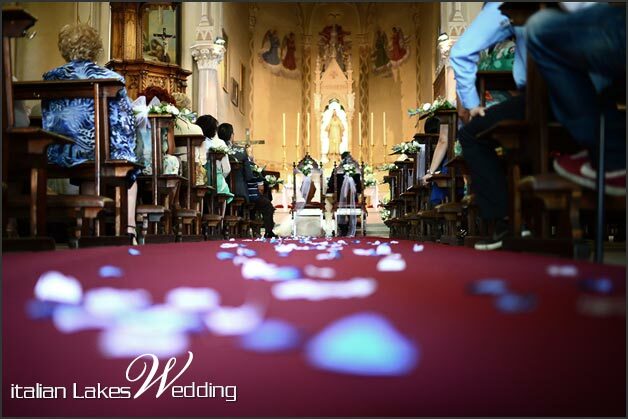 They opted for a romantic religious ceremony in pretty church of Santa Maria della Neve just in Sirmione itself. A great set for a wedding on Lake Garda. 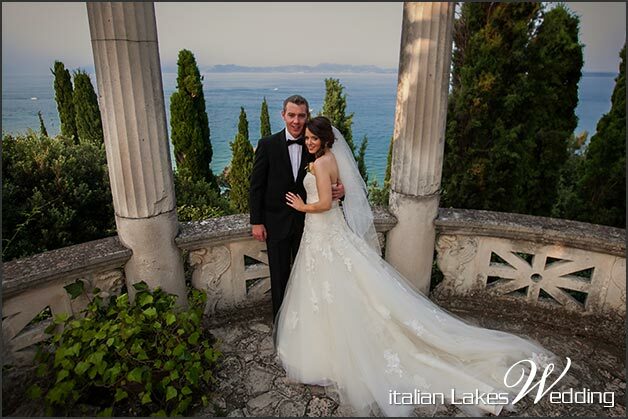 After the ceremony the moved to a wonderful 5 stars hotel again in Sirmione called Palace Hotel Villa Cortine, set on a hill overlooking the lake. 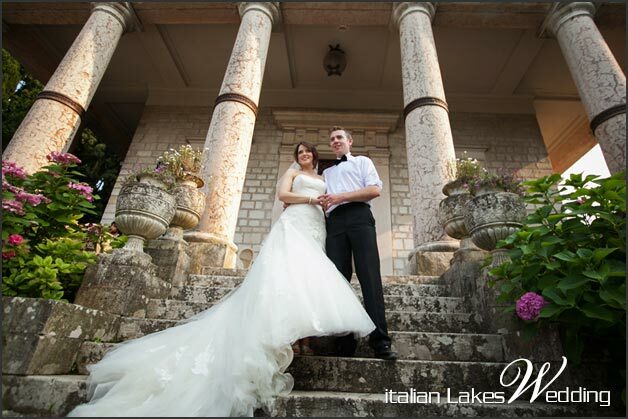 Just a stunning venue for a wedding on Lake Garda. 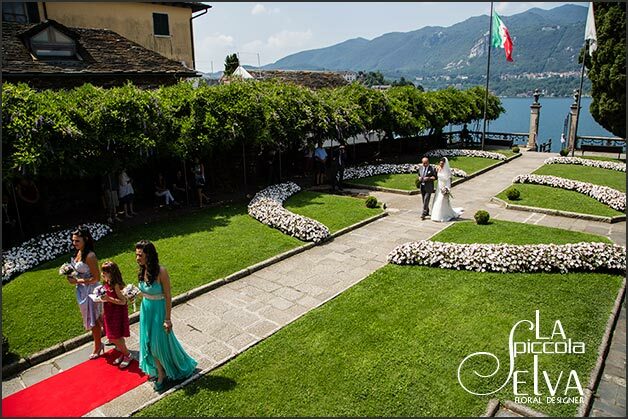 We move to Lake Orta for a wedding followed by La Piccola Selva Team. This is a very special one! 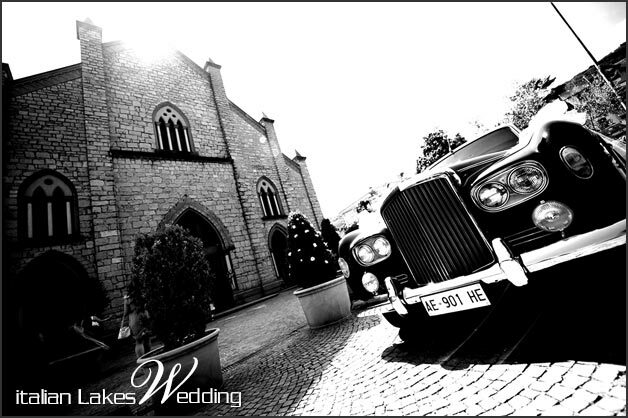 : a vintage wedding 20s style! Myra and Marco had a great idea for an original wedding in Italy! 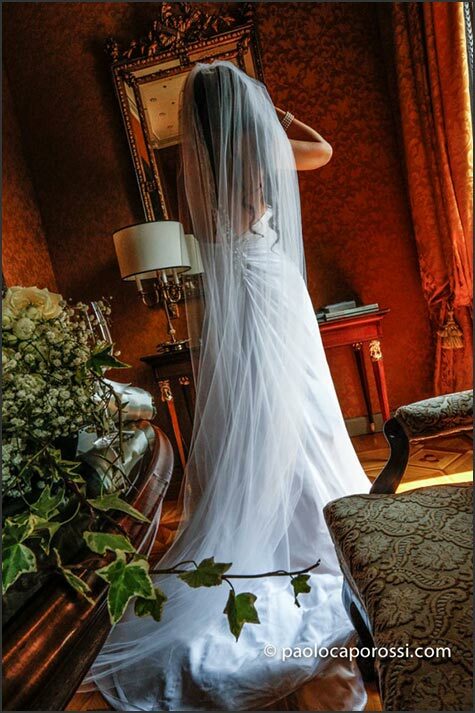 Bridesmaids dresses, bridal dress, hairdo, bridal car were all designed in 20s style. We cannot forget bridal bouquet! It was very big just like the one of Daisy Buchanan – the actress Carrey Mulligan – in latest movie The Great Gatsby. 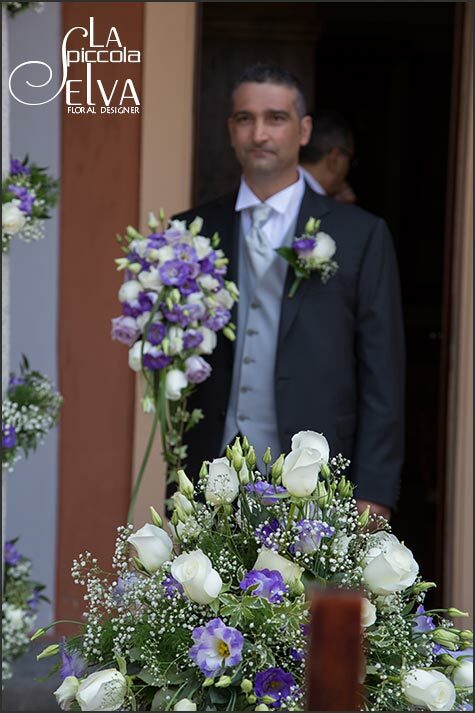 Bouquet and all floral decoration were designed by Monika from La Piccola Selva floral designer. 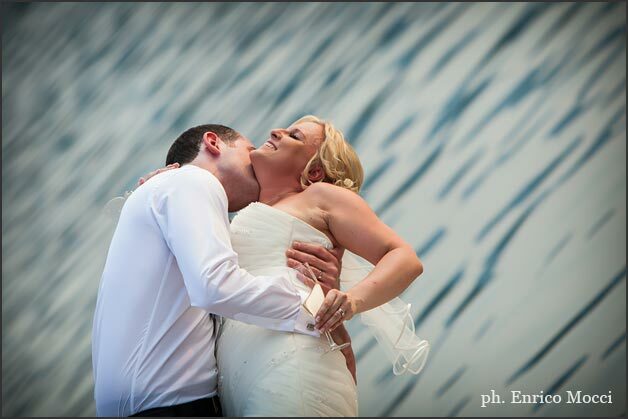 Myra and Marco both live in Geneva – Switzeland. Marco is Italian and Myra comes from South Africa. 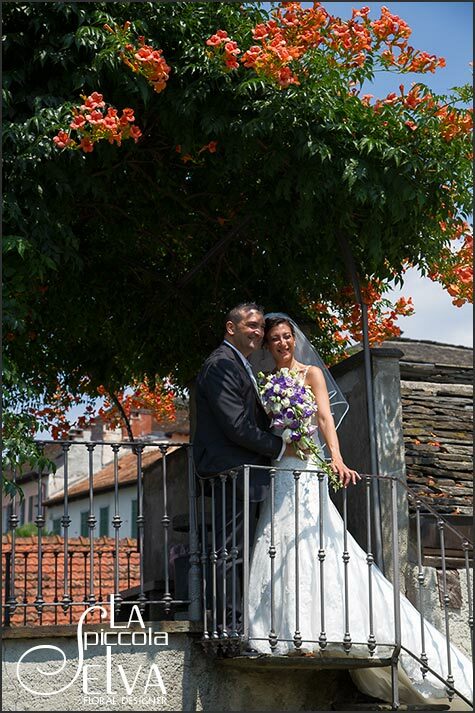 For their religious ceremony they choose church of Santa Caterina in Pettenasco on Lake Orta. 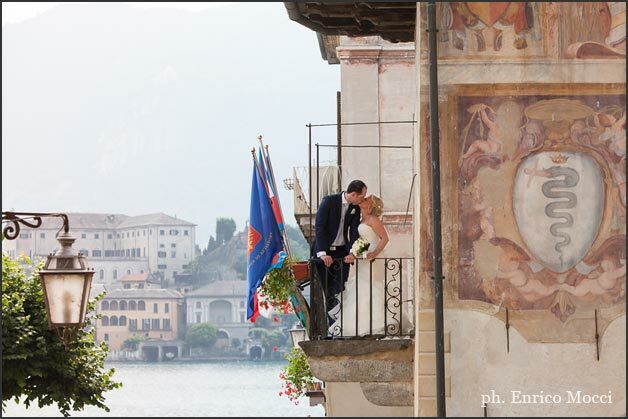 For their reception the opted for VILLA ORTEA overlooking the lake. 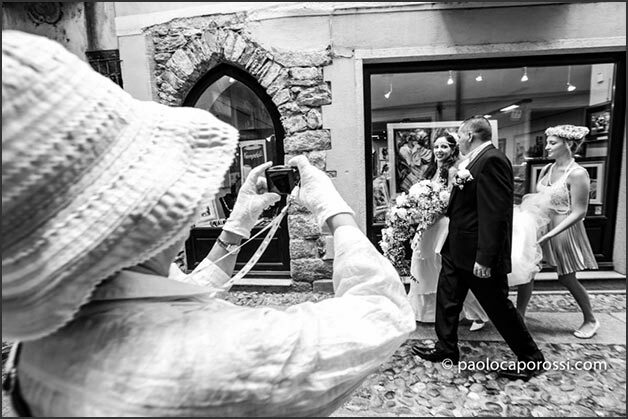 A special thanks to PAOLO CAPOROSSI from Novara for the great pictures you can see here. 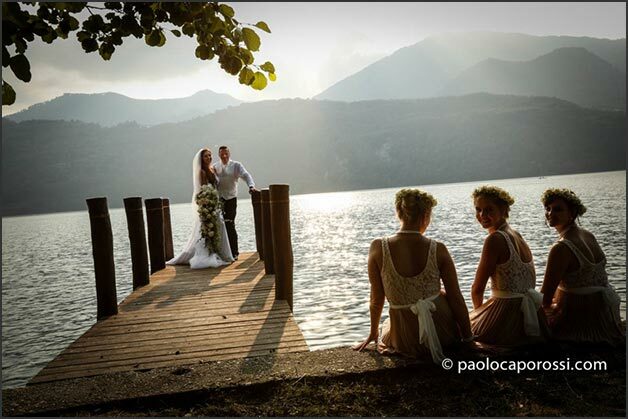 Have a look to bride and groom on the jetty and bridesmaids looking at them… isn’t it great? 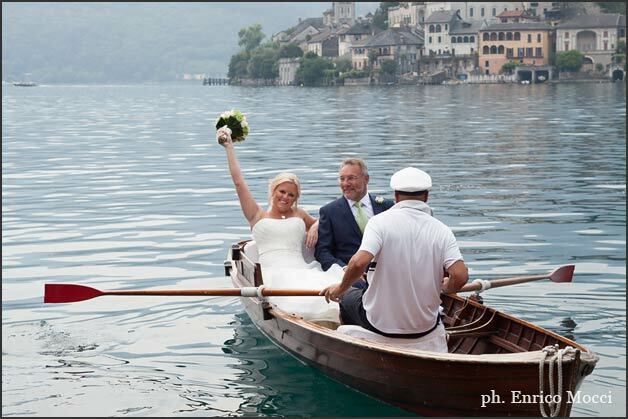 From Pettenasco we move to Orta village but we stay on Lake Orta for Hayley and Dario John’s wedding at Villa Bossi. Again groom here has Italian heritage (his parents come from Cremona in Lombardia) and bride live and work in a little town by Essex sea, Westcliff on Sea. 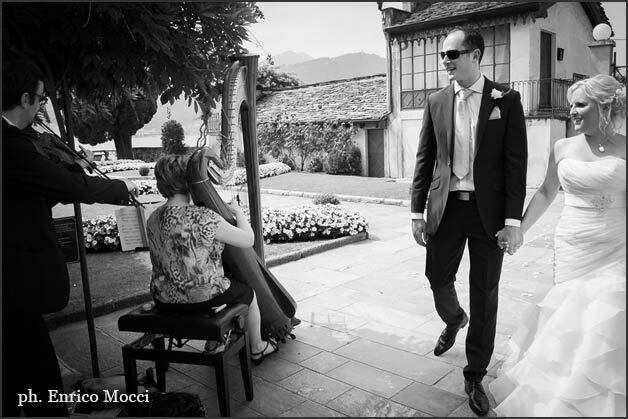 A simple yet romantic ceremony in the gardens of Villa Bossi with the sweet sound of an harp and a violin as a background – our duo Joy Ensemble. They played for the couple Deborah’s Theme by Ennio Morricone from Once Upon a Time in the West, just like bride and groom wanted. 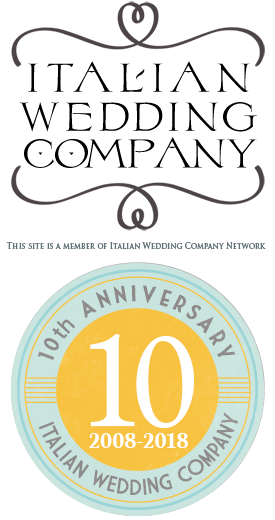 Reception was held on the terrace of HOTEL SAN ROCCO with wonderful wines and food, music and lot of fun for all the group. 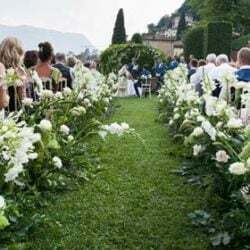 ENRICO MOCCI photographer followed the event – a real expert on weddings on Lake Orta – and Hayley bouquet was created by La Piccola Selva Floral Designer. 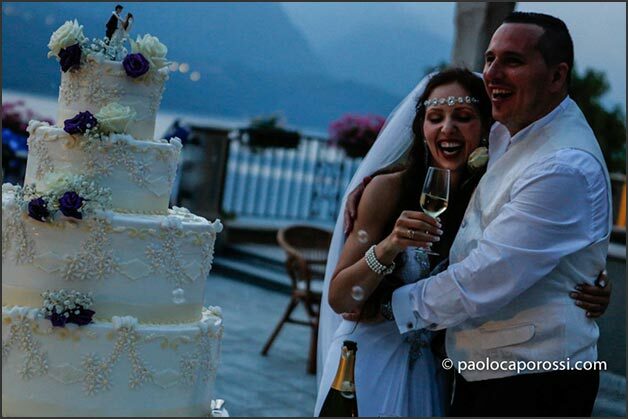 We move now on Lake Maggiore for a very classy and elegant event: Federica and Gabriele’s wedding! 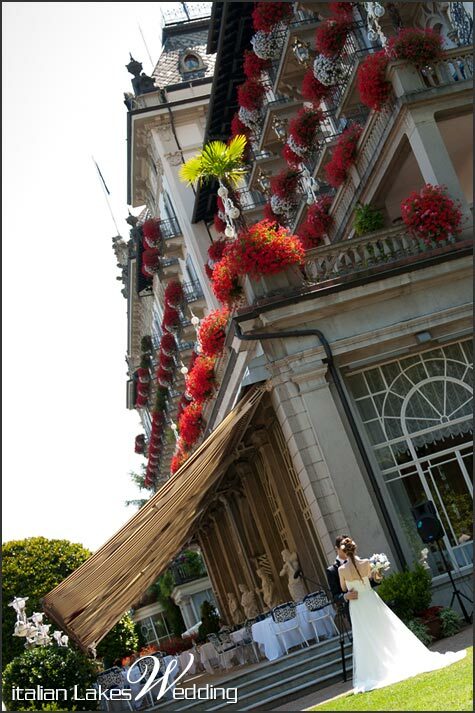 A sweet couple from Milan who chose Stresa as their wedding destination. 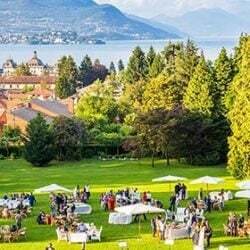 They opted for a religious ceremony in the church of San Biagio in Carciano – very close to Stresa – and a reception at elegant Grand Hotel Iles de Borromees. The ceremony was accompanied by dreamy music from Bicentennial Man with Robin Willians and all floral decoration studied by La Piccola Selva floral designer. 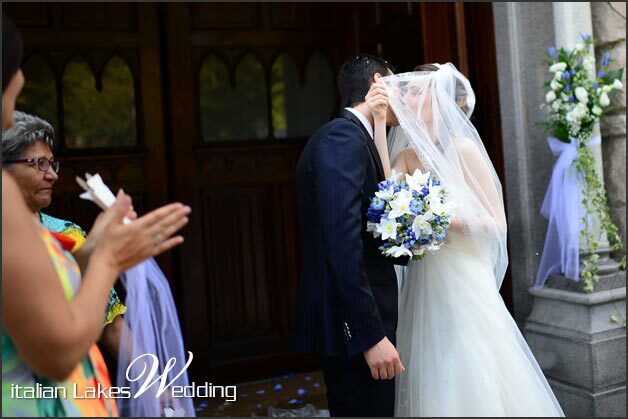 Federica wanted a white and blue bouquet, you can see it her, isn’t it great? First images of the event were delivered by official photographer of the day (just in 24 hours!) FEDERICO FASANO. 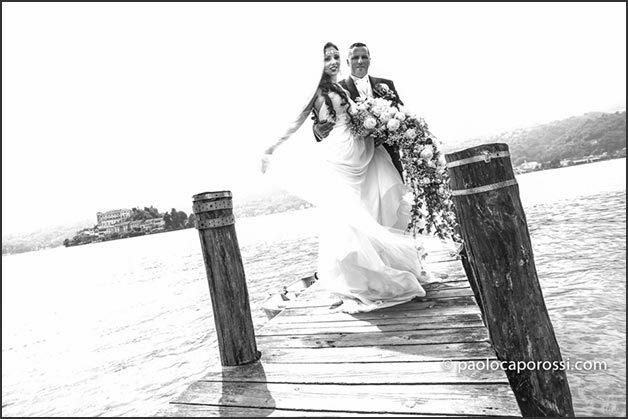 Federica and Gabriele chose him for their wedding photos on Lake Maggiore. They also booked a video that will be soon available with the full photo set of the day, Stay tuned for that. A very special thank to Federico Fasano for great shots! 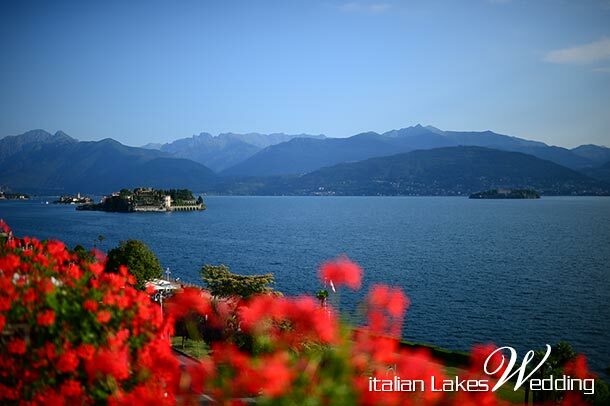 Last but not least we go back to Lake Orta. We are again at Villa Bossi with another wonderful Italian couple: Sonia and Enzo. Bride arrived with her two bridesmaids and a flowergirl on a motorboat. Flowergirl brought with her bridal rings. Main theme was lilac and you can see it in organza and floral decoration on the gate of Villa Bossi jetty, and Sonia’s teardrop bouquet. 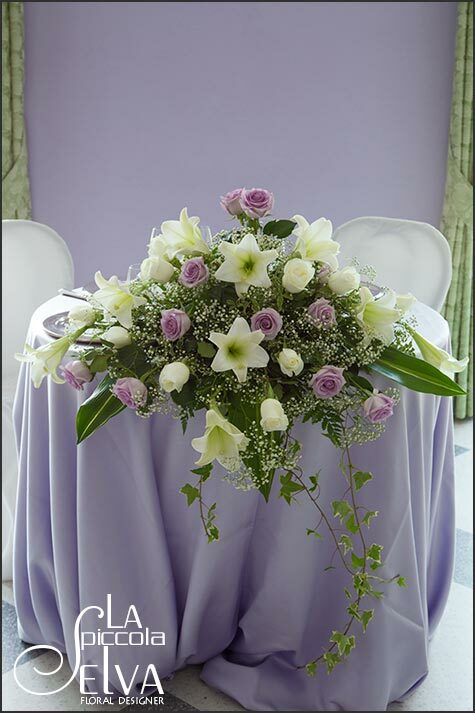 For their reception they choose a lilac venue: VILLA ORTEA of course! 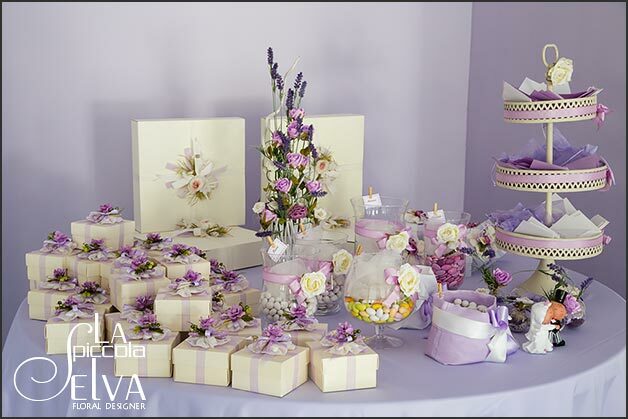 Pictures – by La Piccola Selva – you see here show bridal table and sugared almonds and favors buffet. They were created by Monika from La Piccola Selva Floral Designer’s artistic touch. 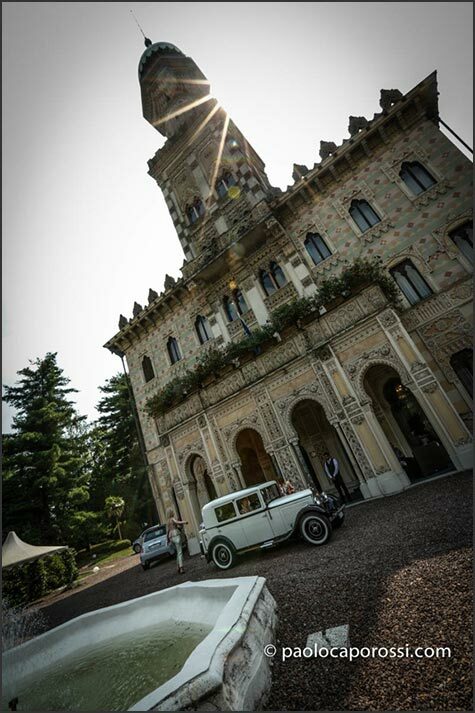 Well for this week end of July this is all… but keep on following us we still have a lot of weddings to tell you about up to the end of this wonderful Summer in Italy!